Hey folks, it’s Fred here! I was having a conversation with someone recently about which gym to work out from in Glasgow, but they were literally petrified of going in! They wouldn’t tell me what it was, but they seemed pretty traumatised. Nevertheless, they still wanted to work on improving their strength and getting more control over their body. It’s full of fresh air. You don’t feel intimidated by big powerlifters and it’s free to use. I personally own a little dog called Coby and we regularly go for park walks around Glasgow. We’ve been scoping out the various parks on our adventures and, today, I’m going to highlight my favourite parks in Glasgow for working out. Been slightly bias, this is currently my favourite to use. It is located near the studio in which I train my clients, and also offers a number of features which are great when looking to add to your training. The granite steps (or as I like to call them, The Rocky Steps) located near park circus offer a multitude of uses, whether you choose to do circuits up each section of the steps or even simply just running up and down them. The actual lay out of the park also offers a number of great running routes, which include hills, long runs and sprint options, depending on how creative you want to be with your training. Lastly on for me, is the red sand football pitch that is there, again a great location to work on some circuits or running and can often be seen getting used by people playing, cricket, frisby, volleyball and even learning how ride bikes. This is one I haven’t had the pleasure to visit just yet, however from what I’ve been told this is one for a scenic run. Although not the biggest park, it is a great one to do laps of. This can be a great way to see yourself getting fitter, just like you would count your reps, sets and weight, here you can count your laps and see an actual improvement in yourself. The only park on the list in the north of the city, but again a great place for some training. The park has large open spaces making it ideal for running. The park also has a few exercise station, which while not been the most challenging, they do break up your runs and really add a fun distraction to your workouts. The hill in the middle of the park is great for sprints, providing a real challenge, with the prize been the view of the city from above. Located on the south side of the city, this is probably the best kitted out park for exercise. Outside of its running routes, the park also has tennis courts and football pitches. The geography of the park also provides some challenging hills to test yourself on. Although one to avoid at night time, this is one I would highly recommend visiting to get yourself started on your outdoor exercise journey. Another of my favourites and by far the largest on the list, this is a brilliant one to bring the bike too. The park is runs as a working farm, so you’ll never be to far from seeing highland cows or horses. For the long distance runners reading this, this is the park for you, the clear paths and various running routes, really allow for a fun and always changing training plan. 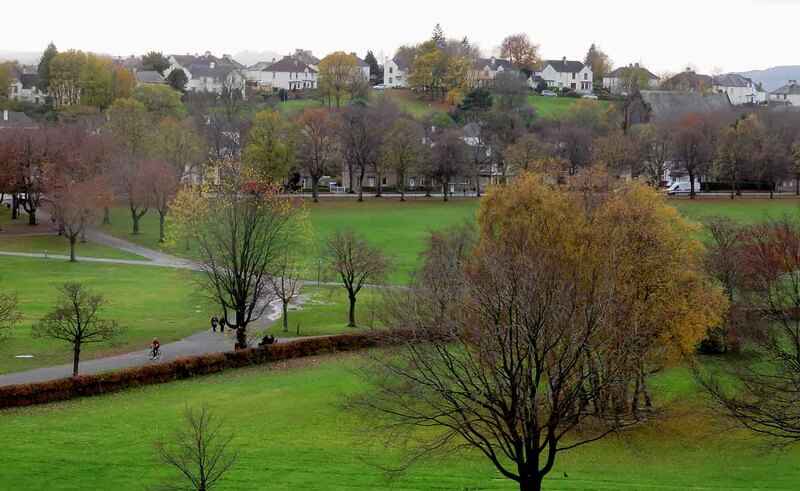 The location for many charity fun runs, Bellahouston is a great location to try something new. The park has an all-season sky slope, all weather football pitch, a pitch and putt and great running routes which are broken up with small body weight outdoor exercise stations. The sheers variety make it, for me, a great park to train with friends. The oldest park in the city, this is one I actually prefer for a more leisurely day. The parks is located along the river and has a great walking and cycle path to be enjoyed. Glasgow green also has many key historical buildings which in themselves create a walking route with rest points to admire the stunning architecture. Finally, due to its close proximity to the city, a visit to Glasgow green can easily be followed up by a visit to one of many of Glasgow’s restaurants. Definitely one for a rest day this one. Need some help figuring out your workout routine? Click here to learn about my tailored training programme in Glasgow.